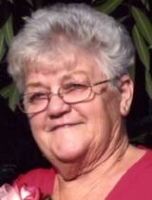 Arlene V. Stacy of Stockton passed away peacefully on Thursday, January 8, 2009 while surrounded by family in a Stockton hospital. She lived in Stockton for 60 years. Arlene helped found and co-owned with her husband the family business Stacy Plastering Inc. Her hobbies included going to the ocean, camping, ATVing, and bowling. 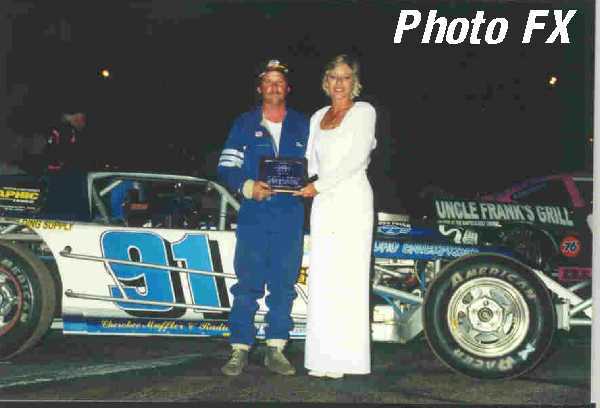 She loved country music and being the #1 fan of Stacy Racing #91, but her biggest passion in life was her family. Arlene is survived by her husband, Leo J. Stacy of 45 wonderful years. Her mother, Violet McBurney. Her 5 children, Leona (Rich) Radovich, Leonard (Marlana) Swanson, Johnny (Velva) Swanson, Steven (Kathy) Stacy and Brenda (John) Meniktos. 14 Grandchildren, Kenny, Michael, Jessie, Nicole, John III, Jori, Jonna, Haley, Tessa, Anna, Jamie, Juliana, Thomas and Kaya. Her siblings, Jeannie, Linda, Glenn, Ronnie & Jessie. Arlene will be deeply missed but never forgotten. Visitation will be on Tuesday, January 13, 2009 at Frisbie-Warren & Carroll Mortuary, 809 N. California St. from 4:00-8:00 p.m. Funeral Services will be held on Wednesday, January 14, 2009 at 10:00 a.m. at Frisbie-Warren & Carroll Chapel. Committal will be at Cherokee Memorial Park in Lodi. Frisbie-Warren & Carroll entrusted with the arrangements.